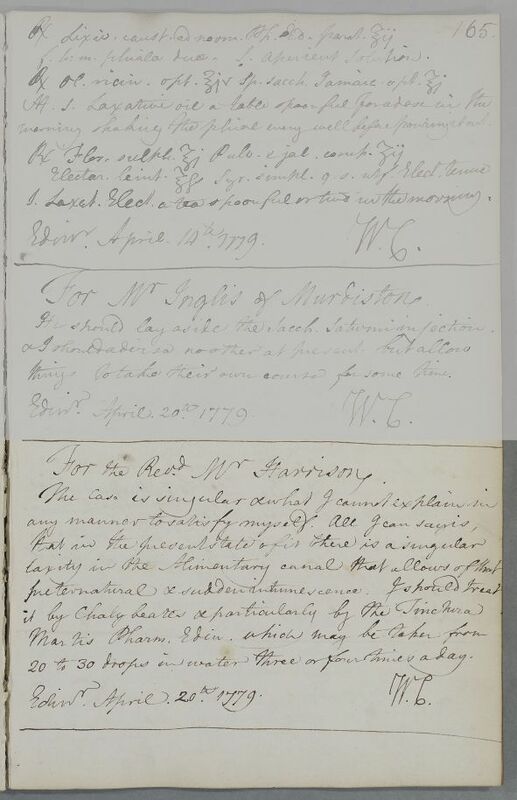 Case of an unnamed male patient, suffering from 'an acute Pain just under the false ribs on the Right side' and 'shooting pains in the Breast and abdomen', reported by the Reverend Harrison. For the Revd. Mr Harrison. 20 to 30 drops in water three or four times a day.